M2TS Recovery: How to Recover M2TS Video Files? M2TS is a filename extension used for the Blu-ray Disc Audio-Video (BDAV) MPEG-2 Transport Stream (M2TS) container file format. It is used for multiplexing audio, video and other streams. It is based on the MPEG-2 transport stream container. This container format is commonly used for high definition video on Blu-ray Disc and AVCHD. Therefore, accidental deletion, corruption or formating is not only annoying but devistating, but what if this happens? Is there any way to get those invaluable videos back? When M2TS files are deleted or formatted from camcorders, the file’s name and directory location information is usually erased by the camcorder system, but its contents are still present on the disk. Therefore, you still have the chance to recover them if the lost contents have not been overwritten. 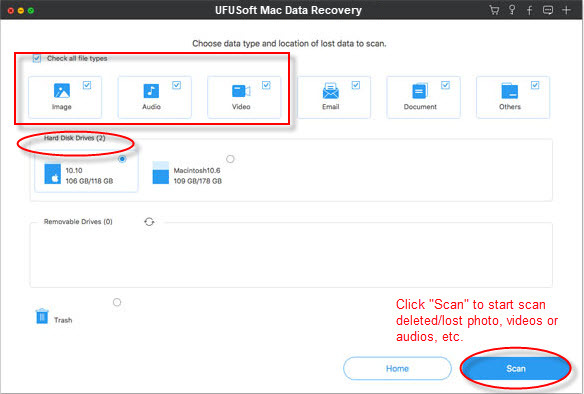 UFUSoft M2TS Video Recovery, or UFUSoft M2TS Video Recovery for Mac is the simple to use application that not only supports recover lost photos but also perfectly recover deleted M2TS videos from camcorders like Sony, Canon, Panasonic and JVC. The program includes a file filter option to scan for specific file types and a file preview tool to show you an image of the file or the file code to help you find the file you are hoping to restore. You can download the trial version of UFUSoft M2TS File Recovery Software first. It is compatible with both Windows computer and Mac. 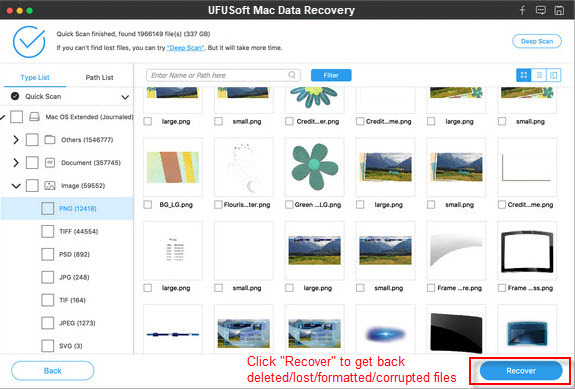 Note: This M2TS video recovery guide is written for UFUSoft M2TS File Recovery for Mac. If you are a Windows user, please download the Windows version. Important Note: Once aware that M2TS video files are unexpected deleted or formatted, you should stop saving any new files to the drive where you lost M2TS files. This is useful to avoid data overwriting and ensure that the M2TS files are not deleted permanently. 1. Run M2TS File Recovery. Click “Recover Photo, Audio & Video” and choose the drive where you lost M2TS files. 2. Click on “Advanced Scan” to select the M2TS format in the file list tab, and then click the “Start Scan” to scan it. 3. Deleted M2TS files will be listed after scanning. Preview them, and then click “Recover” to restore Canon/Sony/Panasonic/JVC M2TS video files.